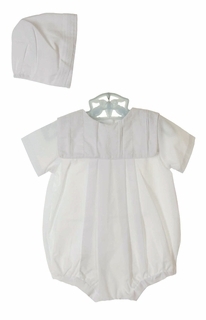 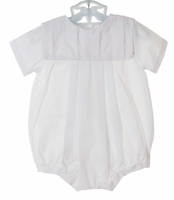 This lovely white cotton blend smocked romper is made by Petit Ami, a designer of high quality infant and childrens wear for more than forty years. 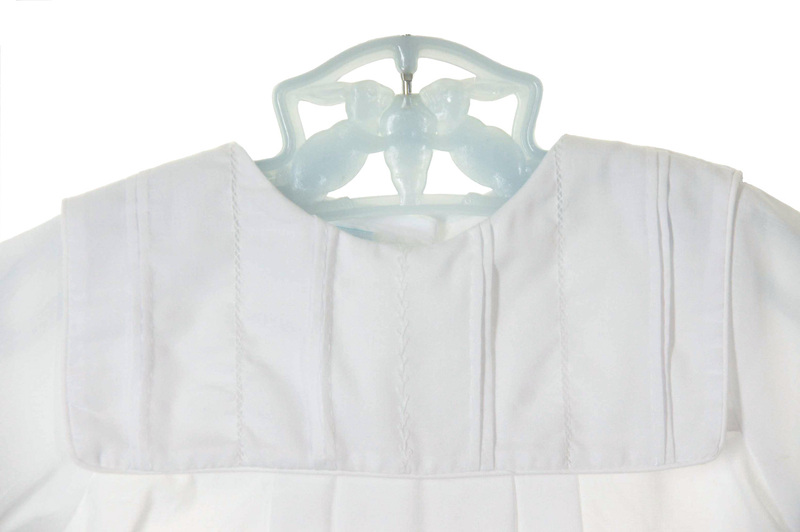 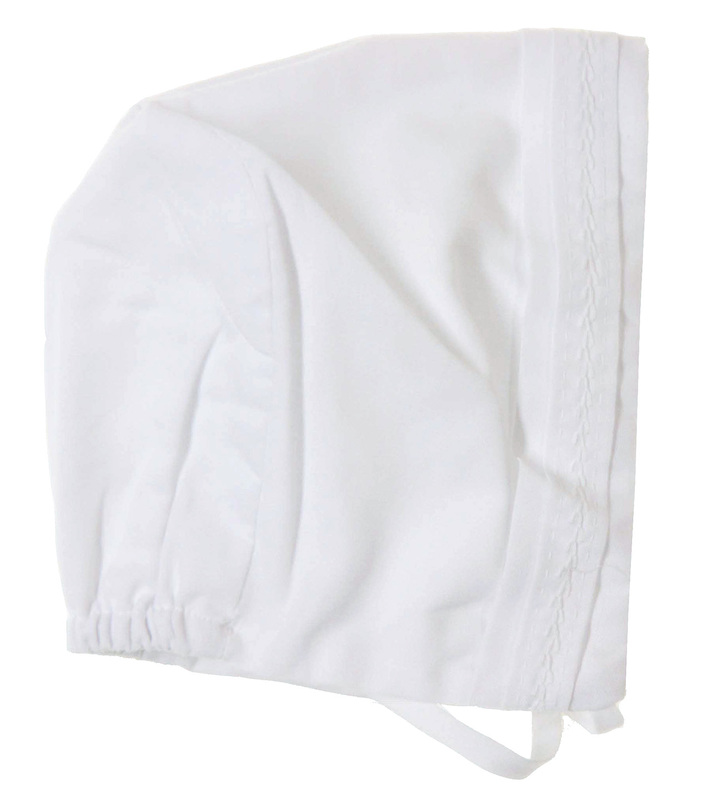 It features a square portrait collar beautifully accented with pintucks, featherstitching, and fagoting. 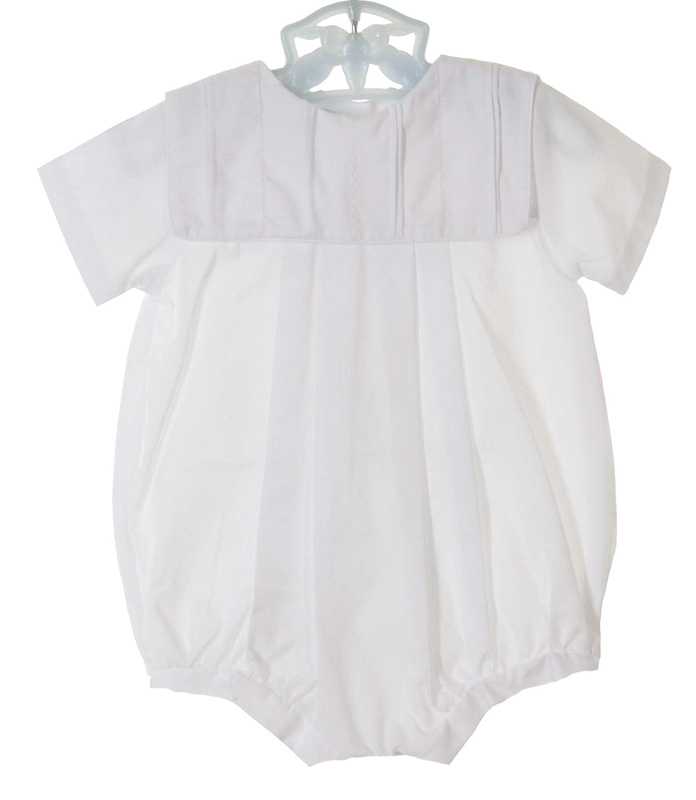 The romper has a pleated front, short straight sleeves, and buttons in the back and snaps in the crotch for ease in dressing. 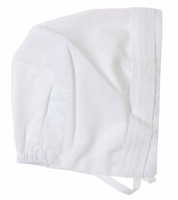 The matching hat is trimmed with featherstitching.